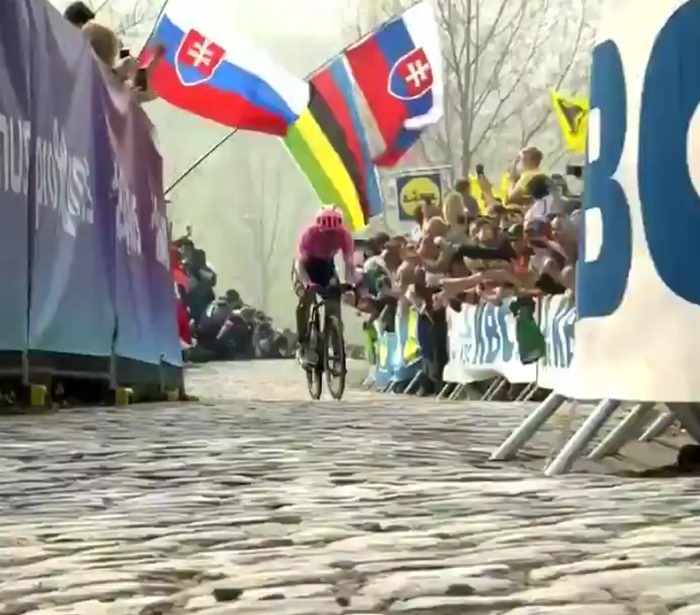 The cobbled classics started out normally enough. Zdenek Stybar – a man best known on this site for taking his false teeth out during the 2015 Tour of Flanders because they were rattling – won E3 Harelbeke. And then Alexander Kristoff, the jet-powered truck, won Gent Wevelgem. These are normal cobbled classics people and these are normal results. Then Alberto Bettiol won the men’s Tour of Flanders and it just feels all wrong. Here’s a thing. Bettiol was the ninth Italian to win the Tour of Flanders and it was the country’s 11th win in total. That makes them the second-most successful nation at this race, just ahead of the Netherlands with ten wins. But again, I repeat, it just feels all wrong. Why? Because the most successful nation, Belgium, has 69 wins. The guy who wins the Tour of Flanders is supposed to be Belgian. And if he’s not Belgian, then he’s at least supposed to be a big name. The last non-Belgian, non-big name to win the race was another Italian, Alessandro Ballan in 2007, although he at least had the decency to become world champion the following year, thus rewriting his name somewhat larger. Bettiol is only 25, so perhaps there’s more to come from him. Strikingly, but a smidge less weirdly, the women’s race was also won by an Italian – Marta Bastianelli. She is the second Italian winner after Elisa Longho Borghini in 2015, but the women’s race has only been going since 2004, so only two nations have won more: Germany with three and… the Netherlands with six. Only one Belgian has ever won it. Paris-Roubaix on Sunday. No further explanation necessary. But here’s one anyway.